Very rarely does building a swimming pool simply involve digging a hole and installing a pool within that hole. Not only are there the occasional weather concerns (especially during thunderstorm season), but you also have to deal with things that are already in the backyard. Sometimes it’s as simple as moving playground equipment around or rearranging mulch and flower beds, but a lot of the time there are more complicated elements. Irrigation systems fall under that category. The piping, valves and wiring that are involved in irrigation systems make dealing with them a formidable task. Valves and wires can be hit, pipes need to be re-routed, the system often needs to be shut down and re-done. 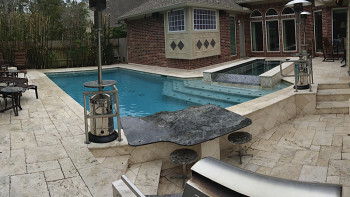 For most pool builders, that’s a complicated process which involves separate companies and weeks of additional side labor. That’s not the case with Ultimate Pools. 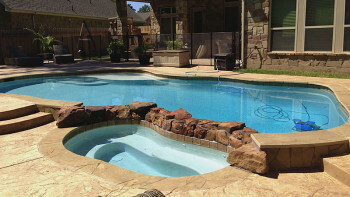 Before Ultimate Pools designed its first blueprint of a swimming pool, it dealt with the installation of irrigation systems under A Total Coverage. A Total Coverage installed sprinkler systems and outdoor improvements for much of the 1990s before pivoting into swimming pool installation in 1999. That experience carries over into what we do today, as we can skillfully navigate and rewire irrigation systems and relocate sprinkler valves. 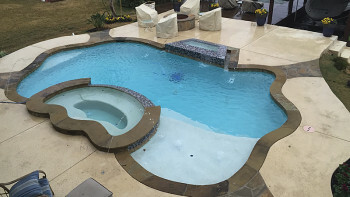 The co-founder of Ultimate Pools, Bryan Stuart, is a Texas Licensed Irrigator #4542. What does that mean for you? Substantial savings — from money to time to overall hassle. Instead of having to call a side irrigation company to come deal with the carnage of digging in a pool, we can handle that for you. 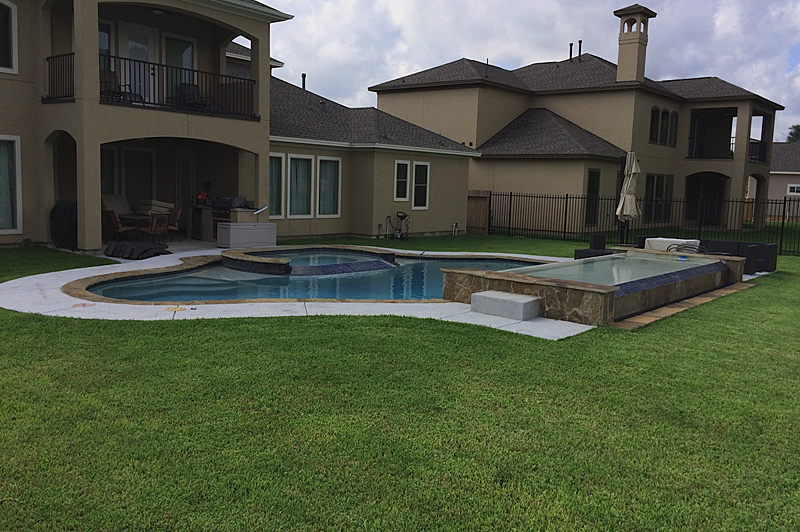 From replacing the wiring and valves to making any adjustments on piping, we are a one-stop shop for pool and irrigation work. Along with not having the hassle to hire another company, we can handle any irrigation alterations at less of a cost and with less downtime than if you hire another company. How does that work exactly? 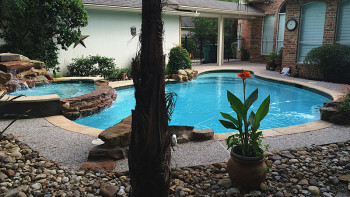 Since we are dealing with the pool excavation and irrigation system concurrently, we have the ability to make the irrigation alterations before installing the pool’s plumbing. We can determine what wires and valves need to be altered during the excavation process and plan accordingly, getting that taken care of before the plumbing is installed. That’s not something most companies can do. Instead of taking inventory during the process, they dig first, install plumbing and the pool, then figure out what to do with the irrigation systems later. That involves contacting an irrigation company, which often has to re-do its original system from scratch to fit with the pool. That costs money and time, as the system could be down for a couple of months after excavation, installation of the pool and re-installation of the irrigation system. Meanwhile, our ability to adjust irrigation systems concurrently reduce down time to about a week after excavation for front and side sprinklers.